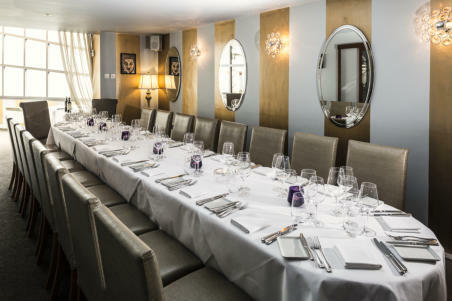 Three private dining rooms to choose from. 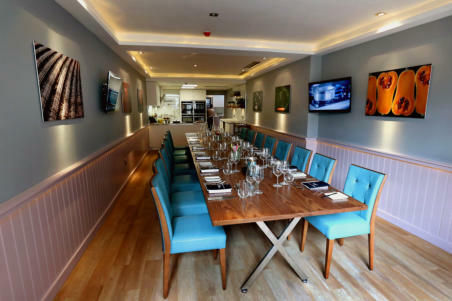 The Malt Room is a fine classical dining room situated on the ground floor beside our chique Piano Bar. It seats 12 people comfortably. The Salon Prive is on the first floor and seats 20 people max. This is a beautifully appointed room with access to our roof terrace for pre- dinner drinks weather permitting (and smokers). 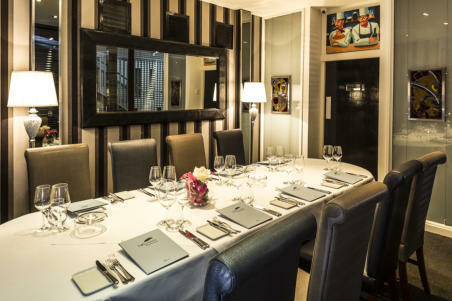 A Private Dining Room with a ‘Live Kitchen’ Ideal for Corporate, Private functions or indeed just to get together with friends.